Your Valentines Day Flag Source! Oh my goodness, I think I’m in love! 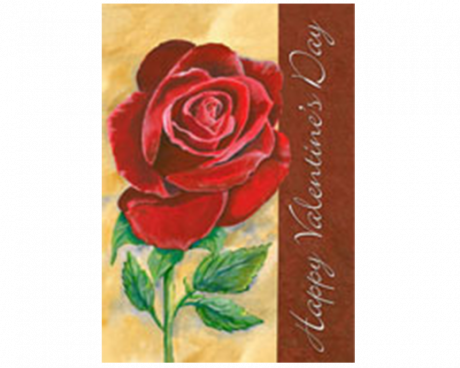 Gettysburg Flag Works offers the most divine Valentines Day banners on the market. Constructed of the finest grade fabrics and dyed with eye popping reds, precious pinks and every amourous color in between, our St. Valentines Day banners really speak to the heart! Adoration. Exclamation. Virtue. All words you can use for Valentines day and also all words you can use to describe our Valentines Day flag. During the Middle Ages, St. Valentine was associated with all these virtues before he was beheaded! Luckily we don’t remember his grisly end, but rather the association with courtly love, as it was his embrace of love and goodness that earned him sainthood. 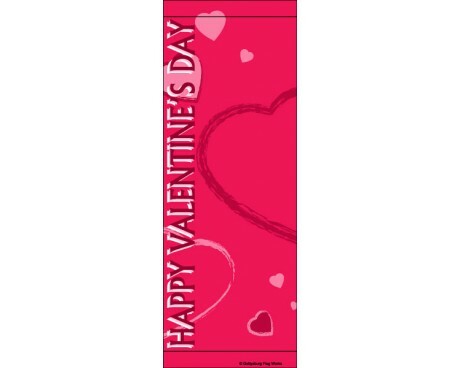 Let Gettysburg Flag Works decorate your home with one of our lovely Valentine's Day banners! 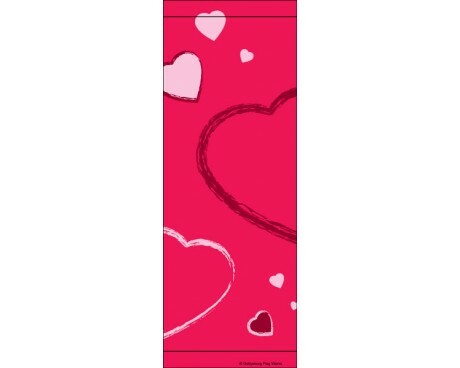 Our Valentines Day banners come in many different designs that will help you broadcast your love, joyous love, to the world! Skip that box of chocolates and get that special someone a Valentines Day flag as a present that will not melt. Gettysburg Flag® Works offers a wide variety of Valentines Day flags, full size Valentines Day banners and garden size Valentines Day banners. All Valentines Day banners shown here have a sleeve at the top for mounting on a house pole (full size) or a garden stand (garden size). Get your Valentines Day flag now, you’re going to absolutely LOVE it! How do you spell LOVE? With a Valentines Day banner and hardware from Gettysburg Flag Works. 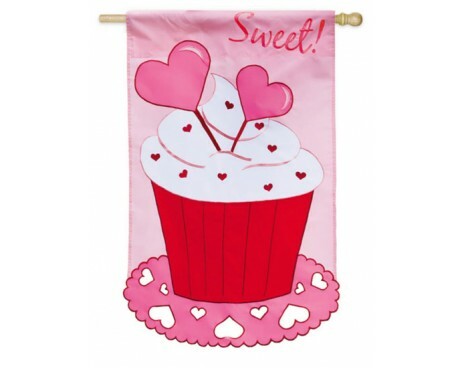 We have multiple styles of brackets and flagpoles to choose from so that your Valentines Day banner looks its best. Looking for a bigger statement to shout tell the world you are in love? Consider getting a quote from one of our experts for an inground 20’ flagpole, which look fantastic in front of the house or workplace. Customers who bought Valentines Day flag or Valentines Day banners were also interested in our custom flags – including our custom Wedding Collection. 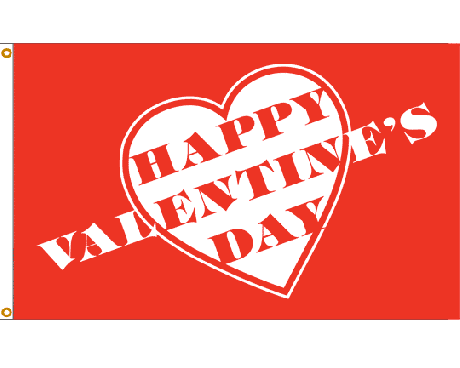 Customize an amourous message to your special someone and emblazon it on a flag for everyone to see. Spell out your feelings in no uncertain terms by having us print or sew your message onto a banner for you! Ask us today for details.